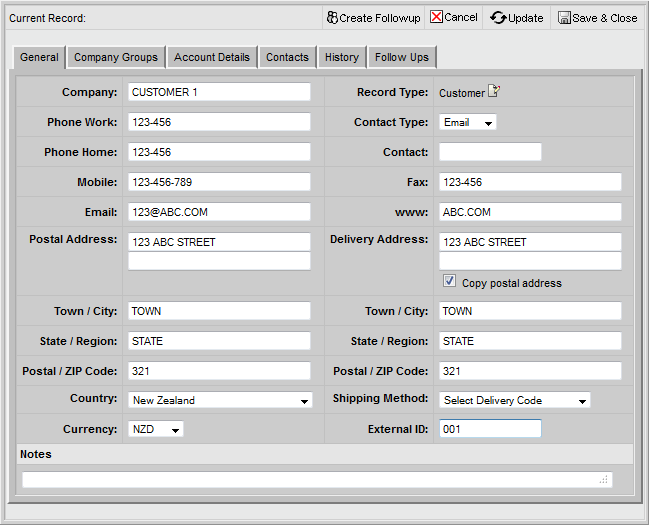 Manage customer & supplier records easily using the Companies Module. Store contact details, shipping instructions and currency. Create company groups to help sort customers and suppliers easily. Set tax rates, customer discount rate, credit limits, account status and payment methods. Store contact information. View history and create follow ups. Easily manage contacts, flight passengers & new leads using the Contacts Module.